In a surprise announcement, Apple has take the wraps off of two new iPad models — a new iPad Air and iPad Mini. Both devices serve as more affordable alternatives to the iPad Pro, as well as slightly more powerful options to the cheapest, $330 iPad. With a similar design, the A12 Bionic processor powering them inside, and support for the original Apple Pencil, which one of the two is right for your needs? We pit the iPad Air vs. iPad Mini in a head-to-head specs comparison to find out. The 2019 iPad Air and 2019 iPad Mini are similar in a lot of ways, mostly in performance. The two devices both offer Apple’s A12 Bionic processor, which is the same ultra-powerful chipset powering the iPhone XS, iPhone XS Max, and iPhone XR. Apple rarely publishes the amount of RAM its devices have, but we do know that both iPad models offer options for either 64GB or 256GB of storage. Expect similar levels of performance between these two tablets. Apple also doesn’t publish precise battery capacities, but it does share how long it thinks iPad models will last on a charge. Both the iPad Air and iPad Mini are rated for 10 hours of normal use for the Wi-Fi only model, or nine hours for the cellular model. They both charge through the Lightning port, and neither of the two tablets have wireless charging. The iPad Air and iPad Mini have the same level of performance, the same battery life, and the same charging methods, so this is a tie. If you were hoping the iPad Air and iPad Mini would get a redesign akin to the new iPad Pro, you’ll be disappointed. Both tablets retain the classic iPad designs of old with thicker bezels and a home button under the display. The tablets are available in the same three colors — silver, space gray, and gold — and offer a Lightning port on the bottom edge. They also share the same thickness at 6.1mm. Neither the iPad Air nor the iPad Mini offer any official IP rating, so you’ll want to make sure you keep the slates away from water. They both offer a glass front with an aluminum back, and while you won’t want to drop them, they should withstand most day-to-day usage. The main difference here is the size of the two tablets, but we’ll talk more about that in the display section. In terms of looks and build quality, they’re equal. The biggest difference between the iPad Air and the iPad Mini is the display. They both have LCD screens, but the resolution and pixel density are different. The 2019 iPad Air offers a 10.5-inch screen with a 2,224 x 1,668 resolution, which equates to 265 pixels-per-inch. The 7.9-inch iPad Mini, on the other hand, has a 2,048 x 1,536 screen resolution, with a density of 324 pixels-per-inch. The iPad Air has a larger display but the iPad Mini’s display has a much higher pixel density, so it’s sharper. While this is the one category that could have swung in favor of one particular tablet, it’s also one of the more subjective categories, as the devices are catered to different people. Those that want a smaller slate that’s easier to hold one-handed should opt for the iPad Mini. But if you want something bigger, then the iPad Air makes more sense. The differences aren’t enough to secure a win, and it’s another tie based on what size tablet you want. The camera on a tablet may not be as important as the camera on a smartphone, but many people still use tablets for video chatting, taking photos in the home, and so on. The rear-facing camera on both the iPad Air and iPad Mini comes in at 8 megapixels, with an aperture of f/2.4, which isn’t impressive, but it should capture decent shots. The front-facing camera is 7 megapixels, which again, should be fine for video-chatting. As you would expect, the iPad Mini and iPad Air run iOS 12, Apple’s latest and greatest mobile operating system. the operating system offers features like improved notifications, the ability to track how much time you’re spending in particular apps, and much more. Apple controls the hardware and software, so you should expect to receive timely updates on the iPad for several years. The iPad Air and iPad Mini have a few interesting features that are worth mentioning. Both support the Apple Pencil, making them great choices for artists who don’t want to fork out the cash for the iPad Pro. 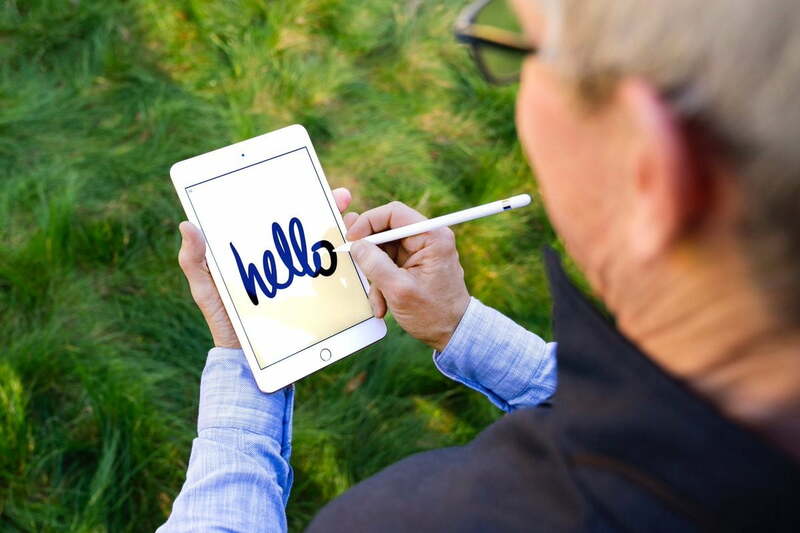 They only support the first-gen Apple Pencil, though, not the new second-gen one that wirelessly charges from the iPad Pro. Apart from that, both tablets offer a Touch ID fingerprint sensor — not the Face ID sensor you’ll find on the iPad Pro or new iPhone models. The iPad Air does have one ace up its sleeve — Apple has designed a Smart Keyboard for it, so you can use it to get some extra work done on the tablet. However, the iPad Mini can still connect to third-party Bluetooth keyboards, so we’re not so sure the Smart Keyboard is a worthwhile investment, especially since it costs $160 on top of the $500 iPad Air. Aside from screen size, the next big difference between the two tablets is price. While the iPad Mini costs $400, the larger iPad Air steps things up to $500 — you’re paying more for the larger screen. You’ll add $150 to the base price to increase storage from 64GB to 256GB, and add another $130 to switch from the Wi-Fi only model to the cellular model. Both the iPad Air and the iPad Mini are excellent devices, and they’re both worth considering if you’re in the market for a new tablet. But which one should you buy? Well, it depends. The iPad Air offers bigger screen real estate and may be better suited for media consumption, and you can even use it to get some light work done with the Smart Keyboard. The iPad Mini may be more ideal to use on the go, such as when you’re commuting on a train, as its size is much more manageable. Check out our iPad guide to learn more about all the other iPads Apple currently sells, in case neither of these two are what you are looking for in a new tablet. You can also check out our guide to the best tablets for more options from other brands.